Rummmble! Rooaar!! The screaming, shattering chainsaw chases a terrified man. Running with all his might, he evades the chainsaw, only to see it crashing through another door…and wakes him up to the familiar sound of a lawn mower. This time it’s 7 AM. Screeching, screaming and shouting, the local street urchins abort his attempted Saturday morning sleep-in at 7:30. What is the point of sleeping in? No one else does. I seem to remember my parents sleeping in on at least one weekend day. They would warn my sister and me to be quite lest we feel a wrath that would pale the likes of Khan. However, in the last few years, if we stay up late on a Friday night (which I thought most people our age did, with or without children), it only makes sense that we would try to sleep in a little on Saturday. And I don’t mean until 10:30 either. Why the change? Could it be that more people are trying to busy themselves these days? Or that they carry the weekday rush into the weekend? The six-year old has to attend pee-wee league, the backyard has to have a new deck and so many things must be accomplished by noon on Saturday. Naturally, both Saturday and Sunday are “get-things-done” days because the rest of the week is filled with extended work hours, meetings, veterinarian appointments, sporting events, piano lessons and what-nots. Rest is lost. Community is gone. 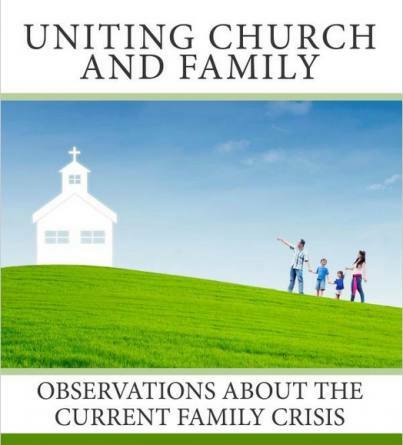 And the church and Sabbath are no longer central to the family units. Even for Christians. In America there is no Sabbath rest. The Gospel is meaningless, so the Sabbath day is meaningless (Heb. 4:1ff) and the church is pushed into the periphery. Work, sports, play, house and whatever else dominates our life-styles, squeezes out the church in our daily planners. We live in one of the most unchurched cities in America. And we see that every Sunday morning when by 8:30 we are ready to drive to church, while the neighbors ready their lawnmowers, hedge-clippers and motorbikes. Perhaps Americans are becoming busier and less rested as they attempt to drown-out the call of the Gospel. Or perhaps I’m simply asking too much to be able to sleep in just a little.